Want to try iOS7? Don’t have an Apple Developer account or the $99 to get one? Don’t want your iPhone to become unstable? 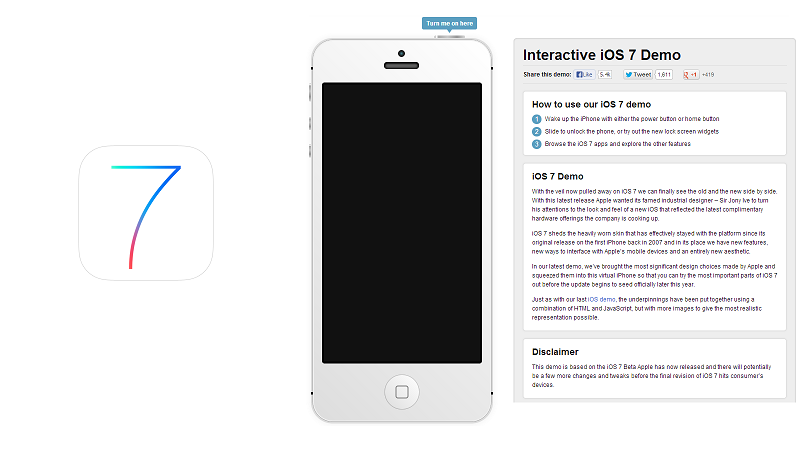 Well then you’re in luck because Recumbo is hosting an interactive demo of iOS 7 on its website. The demo lets you play with most of the new features including the new Notification Center and Control Center and if you’re using Firefox or Chrome, you can use your webcam to take pictures in the Photos app.